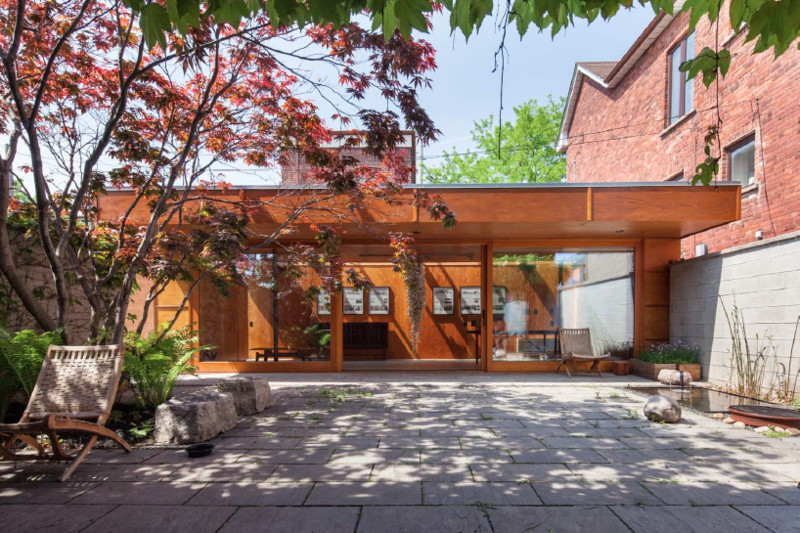 As part of Doors Open Toronto, the Toronto Society of Architects (TSA) has enlisted a select group of architectural practices to open their studio doors for a weekend in May to introduce the public and aspiring young architects and designers to the world of the architectural studios. In 2016, the self-directed tours took visitors inside studios across the city to showcase those behind some of Toronto’s most celebrated buildings and to discover what happens behind-the-scenes. The Architects’ Open Studios initiative provides an inside look into how buildings and spaces are designed, allowing the public to see a range of offices, from small to large, located in renovated garages, storefront spaces and office towers to get a unique perspective on the design process and learn firsthand how architects impact lives through the built environment. To help celebrate the range of different architectural studios participating in the initiative, the TSA produced a Studio tour map allowing the public to create their own itinerary by using a printable version. Toronto boasts a diverse range of architectural practices, varying in size, location, structure and specializations. This project aims to visually capture the spaces that architects inhabit: at times purpose built, at times adapted to suit and, in other instances, integrated with life at home. With imagery commissioned by Scott Norsworthy, these photo essays document and curate the usually ‘off-limits’ spaces of architectural offices, studios and workshops that participated in the 2016 Architects’ Open Studio initiative. Effectively making accessible the unique environments architects work in and also revealing the means and methods architects use within their practice for research, development and visualization. In communicating the unique cultures of these local practices, the TSA endeavours to promote pride and a greater understanding and knowledge of architecture as a profession and the role architects play in shaping the built environment to a wider public. In 2016, Hariri Pontarini Architects, Kyra Clarkson Architect, Teeple Architects, Moriyama & Teshima Architects, Studio Junction, DTAH, Denegri Bessai Studio, atelier rzlbd, and Zeidler Partnership Architects participated in the initiative. Doors Open 2017 returns from May 27-28, 2017. The weekend celebration of architecture includes 50 new building participants, a speaker series and new music program, city-wide walking tours and more. This year’s Architects’ Open Studio participants include DIALOG, Stacklab, Diamond Schmitt Architects, and more.